TYROLIT Australia has been having a boom in business. This boom has lead to our old warehouse and service centre being to small for our incoming tools and equipment, so it was decided that Sydney needed an upgrade. The new premises provides plenty of room, with the warehouse doubling in size and a larger customer service area and showroom to showcase all our latest equipment. The greatest improvement is the service centre, with double the space and another newly added full time mechanic Paris. TYROLIT intends the new office to be move in ready by May 2019. 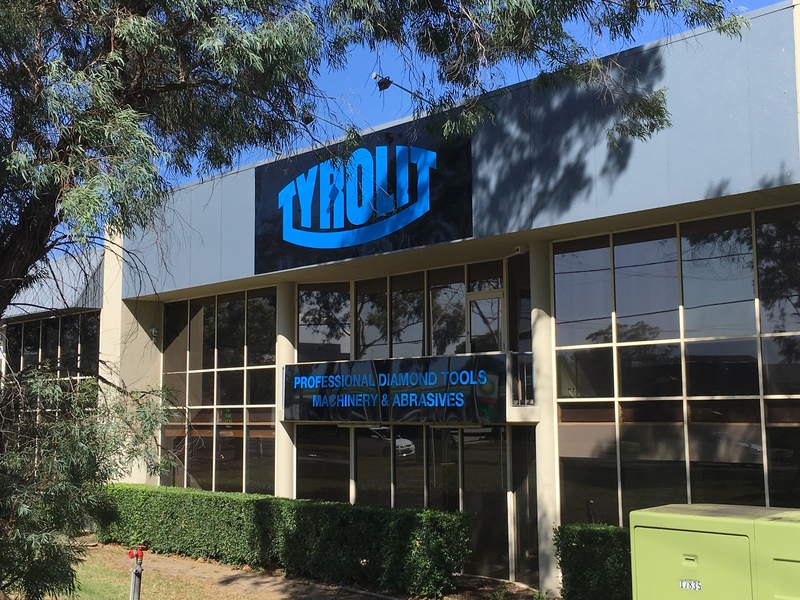 TYROLIT service centres were established 10 years ago, growing exponentially within this time, with service centres growing in Victoria, Queensland and as of last year WA. We currently run 7 engineers within our workshops with a total of 75 years experience within the diamond tooling industry. Our service centres are setup to cater for most needs within the industry to include our suppliers, HTC, WEKA, Diamond Products, Stihl, Achilli, Hydrostress, Hycon, Darda, Slurry Fox, Holer, Ronda, AGP, Baier, to name a few. TYROLIT service centres can carry out repairs and servicing to most construction equipment and floor prep machines. TYROLIT service centres also carry out retipping of diamond core barrels, diamond floor prep shoes to include T-locs, HTC shoes, grinding plates, also special length core barrels to suit your needs. Our service centres also carry out fabrication works having machinery to carry out specific requirements, this includes mig welding, tig welding alloy, stainless, gas welding, plasma cutting, milling, surface grinding, lathe turning and tool manufacture, sand blasting, painting. Within our service centres we are able to carry out complete site situations to allow for correct diagnostics and application training with all types of machinery this is due to having demo and testing areas within all of our service centres. With our new Sydney premises and service centre expansion we aim to service the Australian market having 5 service centres across the country with the experience to cover all requirements within the professional diamond tooling industry.